How MASS Engines Grew Samsung's Marketing Contribution to Revenue. To keep customers and partners abreast about products, offers and other activities, Samsung relies heavily on email marketing. While an effective communications channel, the team was having difficulty gaining insight into campaign outcomes and improvement options. They wanted to move away from managing results by just creating more campaigns. MASS Engines focused on team alignment and developed a process for better communication between key stakeholders. The communications strategy ensured a regular cadence of updates regarding initiatives and activities between the key funnel teams (demand generation, marketing operations, inside sales, and sales operations). The process significantly improved conversations regarding low MQL quality and made it easier for the teams to work together to cut down on junk inquiries, send better qualified leads, and drive higher conversions. MASS Engines also set up a governance process allowing the unified funnel team to accept, process and act upon input from any stakeholder. MASS Engines designed and developed reporting capabilities to increase lead flow visibility for stakeholders, and provided a systematic way to not only measure progress, but also inform stakeholders with tangible evidence and recommendations. The reporting capabilities enabled attribution, making it possible to determine ROI for activities. A critical part of effective attribution reporting was stopping leakage between Eloqua and Salesforce. MASS Engines designed and developed an attribution reporting system that provides full visibility and accountability for all MQLs that marketing generates. Every MQL is trackable through the funnel with details such as date in each stage, who touched it, what actions were required and what happened. Reporting enabled the team to see how much revenue is attributed to marketing spend. 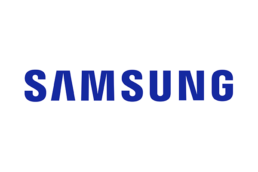 Since launching the attribution reporting system, MASS Engines has continued to work with the team on conversion optimization, helping Samsung generate revenue by reclaiming leads that were lost through the funnel due the system and process inefficiencies. This work includes analyzing funnel conversions and identifying areas for additional optimization, such as Web forms and MQL qualification. By better understanding the outcomes of inquiries along with the sources and drivers, targeted improvements could be made within marketing and sales processes. For marketing this was done with better qualification for web submissions. With sales, tighter SLAs and enforcement of outbound engagement with prospects helped. The insights gleaned from reporting on revenue outcomes allowed the team to improve funnel conversation and gain insights into rejection sources. Junk leads were cut resulting in a 60% reduction in MQLs, while Opportunities went up by 10%. Sales rejected leads were reduced by 67%. Lead velocity was radically increased cutting mean days in MQL status by 91%, mean days in SAL status by 90%, and mean days in Opportunity stage by 88%. These improvements resulted in a 183% jump in Marketing contribution to pipeline, and a 60% jump in Marketing contribution to revenue. Samsung’s flagship company, Samsung Electronics, leads the global market in high-tech electronics manufacturing and digital media. Through innovative, reliable products and services, talented people, a responsible approach to business and global citizenship and collaboration with partners and customers, Samsung is taking the world in imaginative new directions.